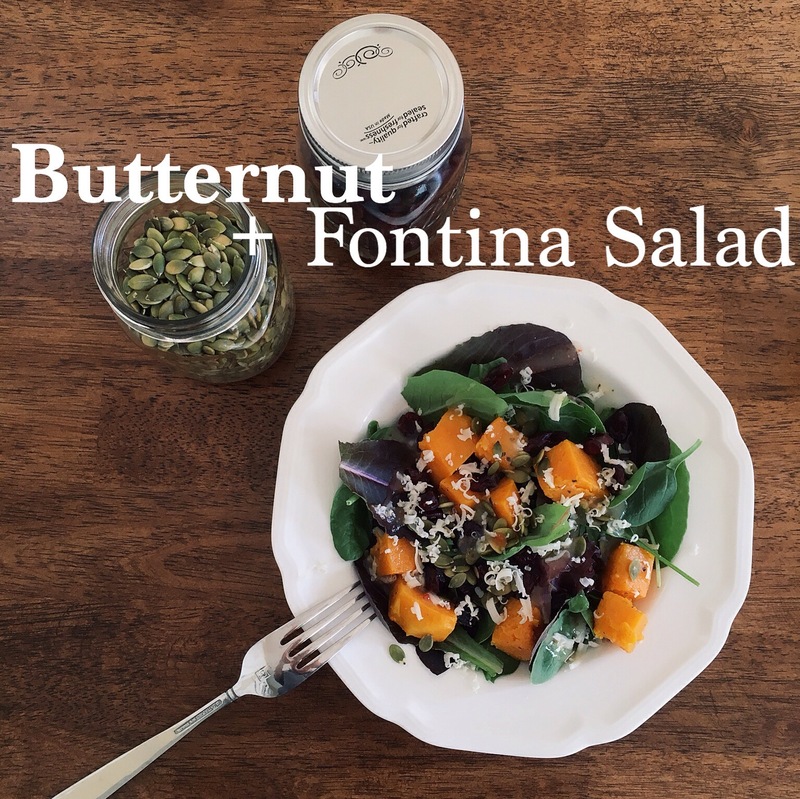 Here’s the Butternut squash and Fontina salad I mentioned in my roasted butternut squash post recently. 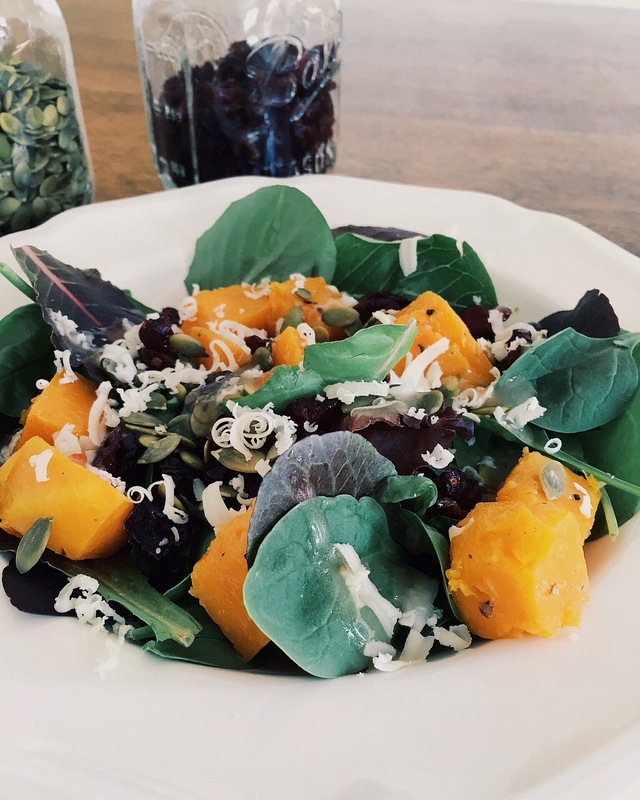 This is a perfect fall salad; it has a great combination of textures with the crisp lettuce, soft squash, chewy cranberries, crunchy pepitas and melt in your mouth cheese. 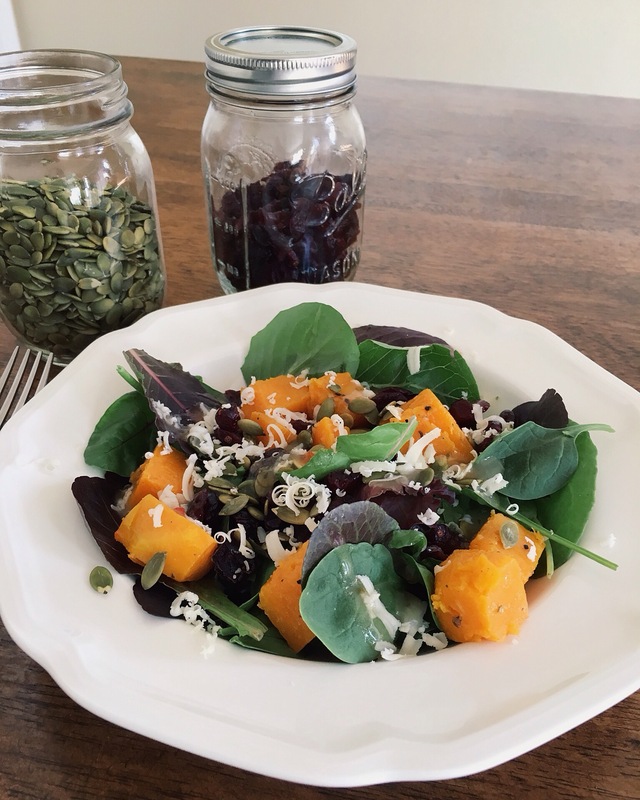 This is another recipe where having dried cranberries and pepitas in the pantry at all times comes in handy. 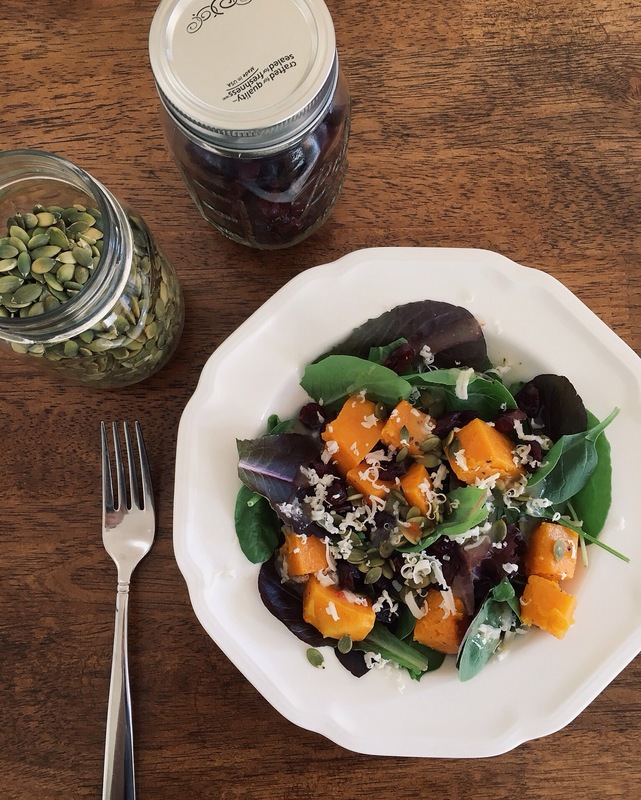 Layer lettuce, squash, cranberries, pepitas and fontina cheese in a salad bowl. Lightly drizzle with champagne vinaigrette, toss to coat. < Previous Happy Columbus Day!